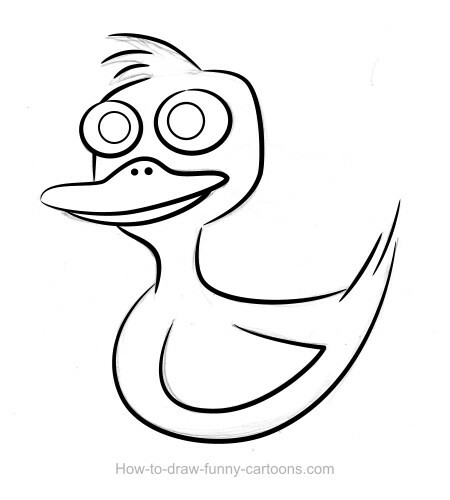 In this tutorial, you will learn how to draw cute duck drawings with large pupils and a funny look! Indeed, this adorable animal is quite amusing to draw. Despite the fact that some parts like the beak can be difficult to achieved, I'm sure you will enjoy sketching this character and you'll be very pleased with the result. 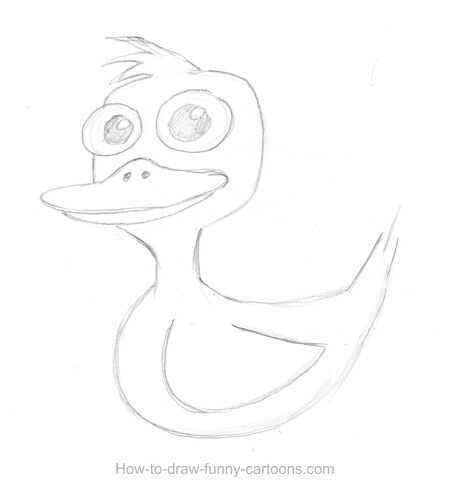 First, sketch your duck using a piece of paper and a pencil. Make sure that the neck is long and thin, the beak must be flat and large while the eyes are large and round. Import your illustration in your vector application and add black outlines. I like to add a little variation in the outline's width. The result is more appealing and professional. Add some shapes behind the outlines and color them with plain colors. I do these two steps separately because I will add shadows between these two elements (the shapes and the outlines) later on. Pick up your gradient tool and add some basic shadows on your illustration. 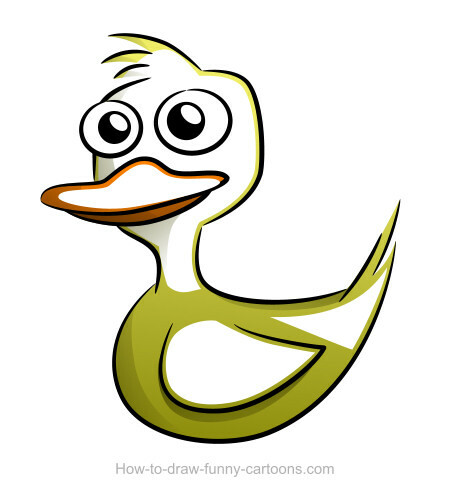 Make sure that the light's reflection is relevant on your duck drawings. Choosing colors that are too light or too dark will make the character hard to read. Create new shapes on areas that are usually not getting too much light (see above). These new shapes must be colored with a darker tone. Once you are done, select your transparency tool and partially hide the top of each new shapes created previously. Your goal is to illustrate soft (but darker) shadows on your duck and create a sense of depth that is more accurate. Repeat the same process, only this time by adding white shapes on areas that are directly hit by light. We want to create nice reflections on the body, the beak, the head and the wing of the duck. Once again, use the transparency tool to hide the bottom part of each shape. Our duck is really nice, but it can be even better! 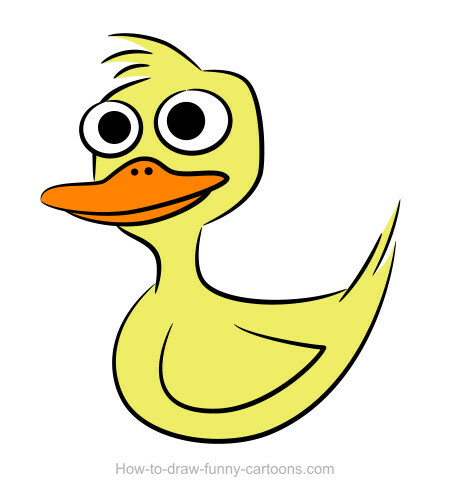 Select each outline and change the color with something closer to the tone of shapes available inside the duck drawings. 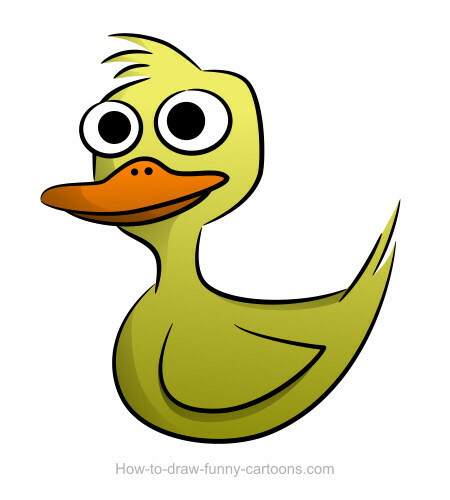 For example, outlines of the beak can be colored with a darker tone of orange instead of black. Changing the outline's color is a nice alternative and once again, I feel like the result is more interesting and professional than just leaving all outlines black. Good job! I think our little character is now finished!